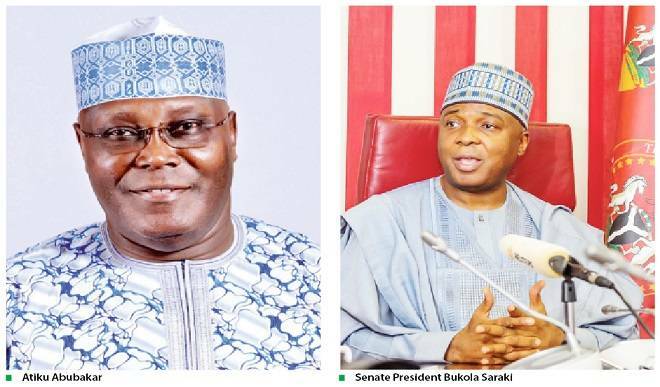 Senate President Bukola Saraki has congratulated former Vice President, Atiku Abubakar, on his emergence as the Peoples Democratic Party, PDP, presidential candidate. 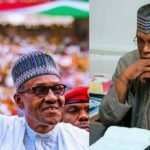 Atiku scored 1532 votes to defeat his closest opponent, Aminu Tambuwal, who polled 693 votes. 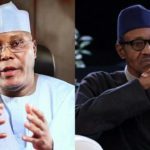 He assured Atiku of victory and his support in the forthcoming 2019 election. “On behalf of other presidential aspirants, I thank Chairman of NWC, Governor Okowa for putting in place a transparent election and showing that PDP can make it right. 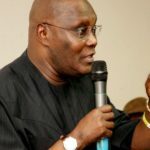 “I congratulate Atiku Abubakar, It has been a journey which you truly deserve, on behalf of all us we congratulate and assure you that we are here to work with you. “Just call on us to bring success to this party. “All the doubting Thomases that thought we would all walk out after the results have been announced ,we are not going anywhere but walking with Atiku to victory. “We are with you and confident that with us as a team May 29 2019 will be a day that our party will take over. 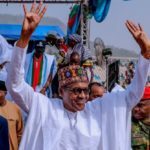 #NigeriaDecides2019result : Buhari wins in Gombe.